At Macarons & More we craft, make and sell a range of exquisite treats, from delicate macarons to adventurous luxury cakes. Tim and his team take a huge amount of pleasure in perfecting recipes and creating genuinely delicious treats. 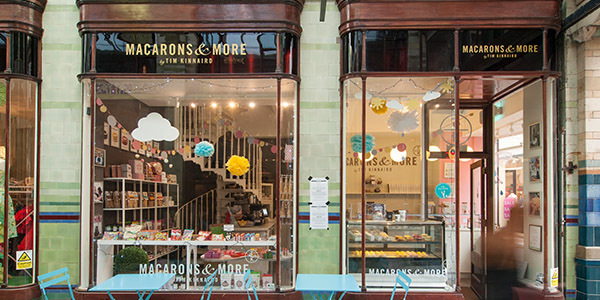 Our award winning shop offers a full range of macarons and other patisserie. It is also the place to find out more about our Cookery School and our range of Celebration and Wedding Cakes.